Sharp's unique over-the-counter microwave oven, with Smart & Easy® sensor technology for cooking or reheating 11 of the most popular microwave treats. This model is the smarter kitchen design solution that saves valuable counter space. 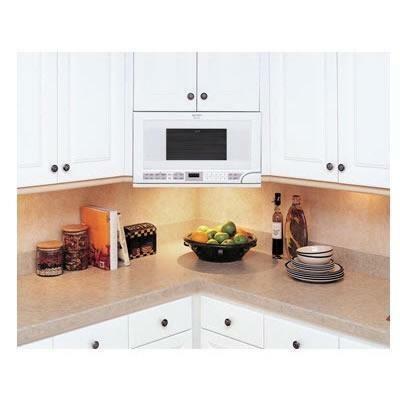 It provides a wide range of options for placement, works with standard cabinet sizes and does not require a built-in kit or shelf, allowing for an easy installation. And it comes with under cabinet task lighting. 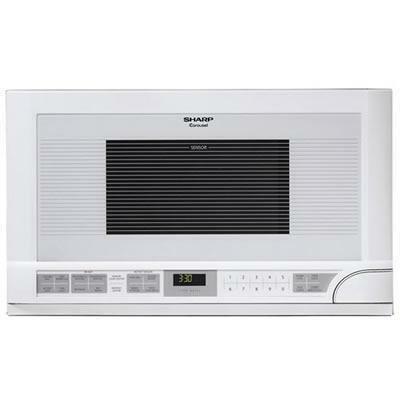 So smarten up your kitchen design with Sharp's intelligent over-the-counter microwave oven. 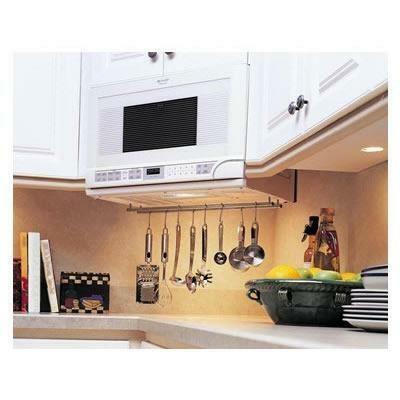 It's an ideal space saver that will give you more counter space- and more cooking space! Additional Information Auto-Touch™ Control Panel - is conveniently located underneath the oven's door. Users can easily select features, power levels and times. The controls are easy to see and simple to use. Defrost Center - automatically sets defrosting times and power levels for meats and poultry by weight. Hot Water - heats one to six cups for making tea or cooking pasta, for example. Interactive Cooking System with Custom Help® - includes options for English, Spanish or French. Keep Warm Plus - lets you keep hot foods hot up to 30 minutes after cooking is finished. Minute Plus™ - gives users one minute of high cooking at a touch. New Design for New Locations - means easy installation of a sleek, elegant oven wherever food is prepared. Popcorn Sensor - pops popcorn automatically regardless of package size or brand. Additional Dimensions CAVITY DIMENSIONS (INCHES): Depth - 14 15/16, Height -9 7/8, Width -17 1/2. Warranty 1 Year Parts/Labor; 6 Additional years for Magnetron tube, part only.